The Ministry of Music and the Arts offers opportunities for learning, outreach, spiritual growth and worship leadership. Children, youth and adults can use their musical gifts and God-given talents to serve their church and share their faith by participating in a choir. The primary musical leadership responsibility for the Chancel (adult) choir is the 11:00 worship service. It also provides leadership for seasonal services throughout the year and presents several services accompanied by orchestra or jazz band. The choir sings a broad range of repertoire from gospel to classical. 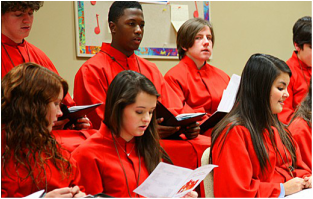 The youth choir is comprised of singers in grades 7-12, who rehearse from August to May. 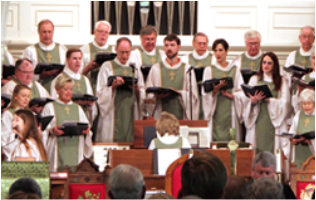 The choir provides musical leadership primarily at the 8:45 Worship Service several Sundays each month. 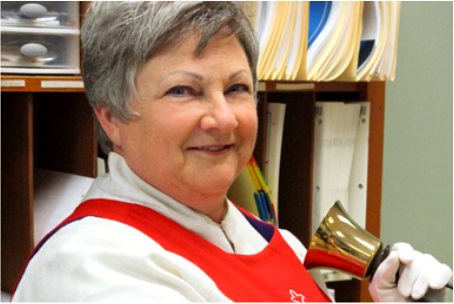 It presents special programs at Christmas and in the spring and tours annually each year at the conclusion of the school year. Offered for children age 3 through grade 6 from September through April. 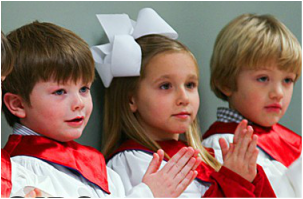 Children are taught basic musical concepts, play a variety of instruments, learn about the church and its historical tradition of music and worship, sing regularly in worship and present special programs at Christmas and in the spring. An advanced choir for adults with music reading skills. We are in need of pianists to accompany the children and youth choirs. Every type of instrumentalist is used on an as needed basis. We are in need of volunteers to help with refreshments, small groups, car pools, robing, etc.